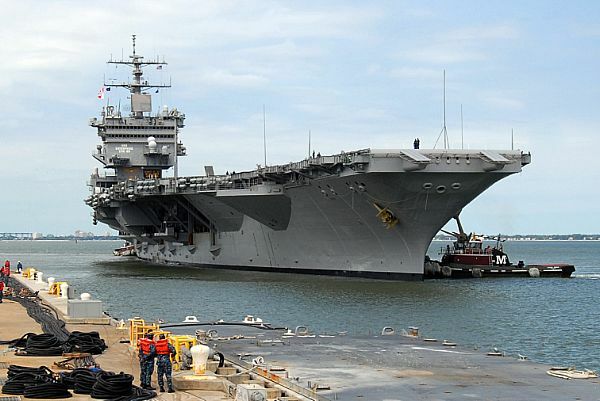 As the carrier Enterprise gets closer to the end of its last deployment, questions about the fate of the world’s most famous warship are surfacing. Well, people in Southeast Alaska have an idea: Use it as a bridge to connect Ketchikan and Gravina Island. As a bonus, it’s a floating power plant, tourist attraction and platform for trinket shops. Even without the trinkets, this way is better than the original plan to connect the two islands, the so-called Bridge to Nowhere. As a bridge, it would make it impossible for other vessels to navigate between the two islands. It would, in effect, create an isthmus. Ships wouldn’t be the only thing affected; sea life would need to dive below the bow to pass. Ironically, the Navy is charged with protecting freedom of navigation. No matter the Enterprise’s fate, it almost certainly will not become a floating power plant, whether it ends up in Alaska, the mothball fleet or on Mars. The Navy’s nuclear energy program is one of the military’s most closely guarded secrets, and it’s extremely unlikely that it would be handed over to a municipal utility organization. 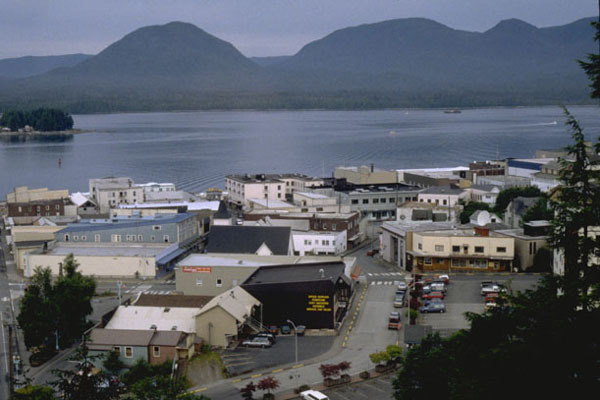 Ketchikan, the home of an international airport and around 14,000 people — it’s Alaska’s fifth-largest city — has a miniscule reputation as a tourist destination. No matter how awesome the trinkets, it’s going to be tough to convince people to buy airfare. And could Ketchikan even afford the Enterprise? Its fiscal 2012 budget tops in at just over $102 million, and its construction budget totals around $33.3 million. Okay, that was downright stupid! Using the Enterprise as a bridge to nowhere? Whatever that person was on when they made that suggestion, I want ten pounds of it. I was stationed on the Enterprise for 4 1/2 years, this would be an insult to use it as a “bridge to nowhere”. Hang on a sec, this is kind of an unfair characterization. One person wrote into our alternative newspaper in a letter to the editor to suggest this, and all of the letters to follow were (justifiably) derisive. As a person who was born and raised in Ketchikan, it’s insulting to read not only about such a ridiculous idea but about the constant rehashing about the “bridge to nowhere” stigma. Even though I don’t reside there, this beautiful city will always have a special place in my heart. While the USS Enterprise has earned a special place in many people’s hearts, it would actually be a blight on the scenic beauty of the area, not a boon — especially since the area is actually a rather large tourist draw, not minuscule as the author stated. In fact, the local economy depends on it. I was opposed to the bridge because it seemed silly; the airport ferry is such a short ride across and much less expensive to sustain. The bridge was proposed originally many, many years ago before the airport on Gravina was even built in the early 70s. And, while Gravina Island has few residents, someday it will become “somewhere”. Perhaps a bridge will then be warranted. But I agree. The Enterprise would be a very bad enterprise–ridiculous.